Our philosophy is to provide the most comprehensive and personalized dental care you truly deserve. Efficiency and comfort is our prime concern. At Clinica Dentista we pride ourselves in the quality of service and genuine care we provide to our patients. Our philosophy is to perform minimally invasive dentistry as much as possible - that means we want to do as much as possible to preserve your natural teeth and give you the most comfortable experience possible in the dental chair. 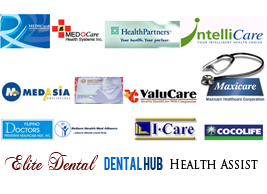 We provide a comprehensive range of dental treatment to cater to all your needs. Do you offer jacket crown services?